If the Solution provided here does not work, please Advanced Troubleshooting. 4) Please execute the query which causing the issue. 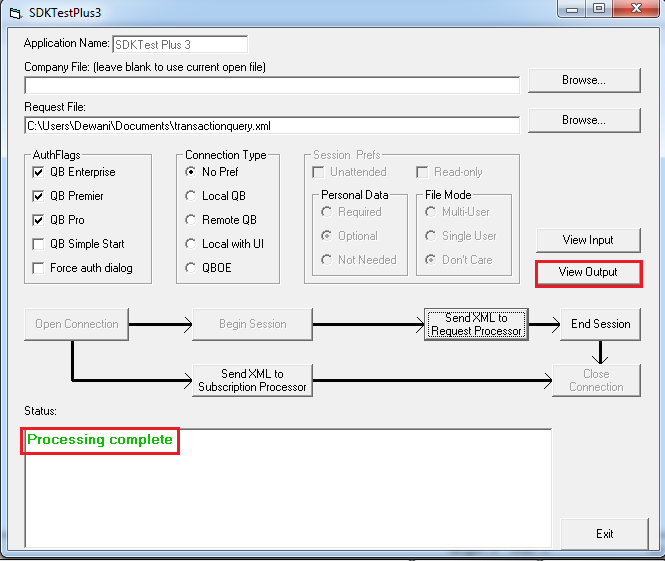 5) Please check Detail trace file. 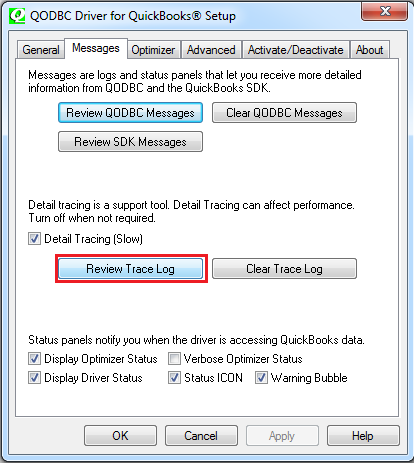 You can check trace logs from QODBC Setup Screen>>Message Tab>> Review Trace Logs. 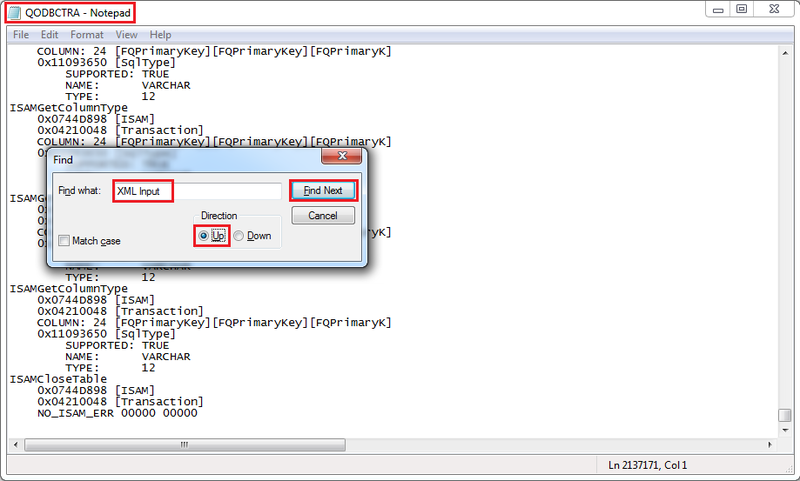 6) You can get XML by finding "XML Input" keyword in the trace log file. 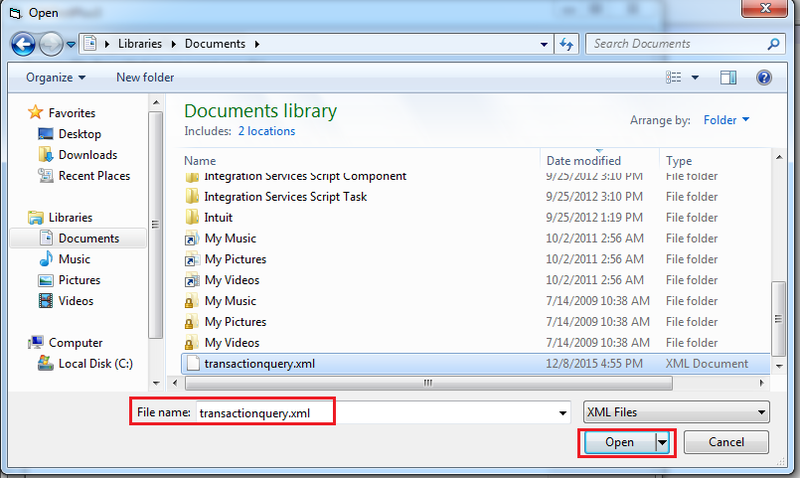 Open trace log file navigates to end of the file & find "XML Input" in the upward direction. You will get <TransactionQueryRq> an input XML. Please save this XML file & use this XML in SDKTestPlus3 tool. Please verify that there is no white space in XML. 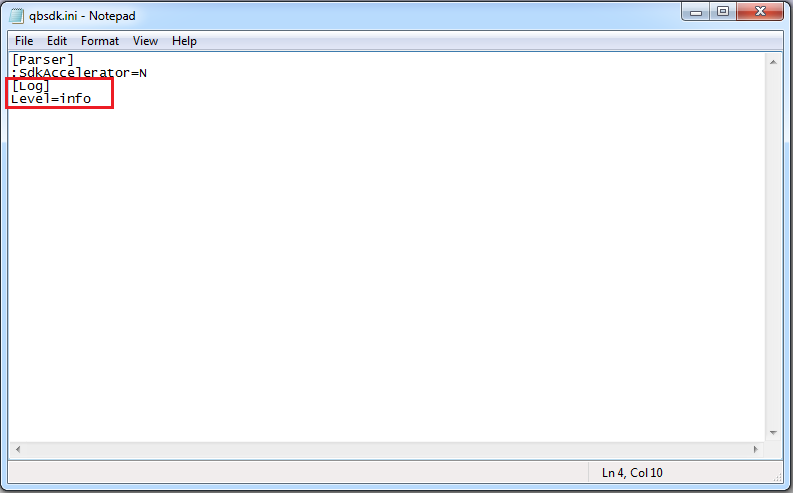 If you find any white space, then please remove it & save XML. 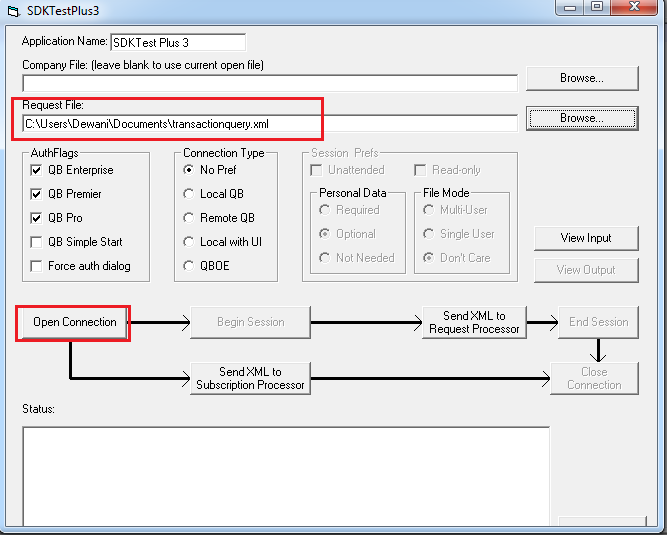 7) Now we have an Input XML file use this XML file in SDKTestPlus3 tool by following below steps. 8) Turn off Details trace by disabling "Detail Tracing (Slow)" option from "Message" tab. The QuickBooks log file does not typically contain enough information for effective troubleshooting when there is a QuickBooks internal error. 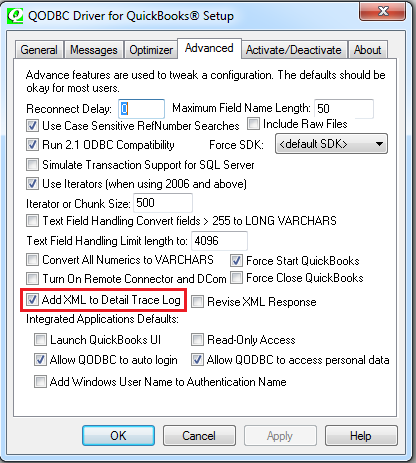 To check QuickBooks internal error, need to enable Verbose logs. 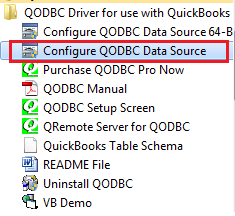 Open the settings file "qbsdk.ini" (This will be in a different location depending on your QuickBooks version). 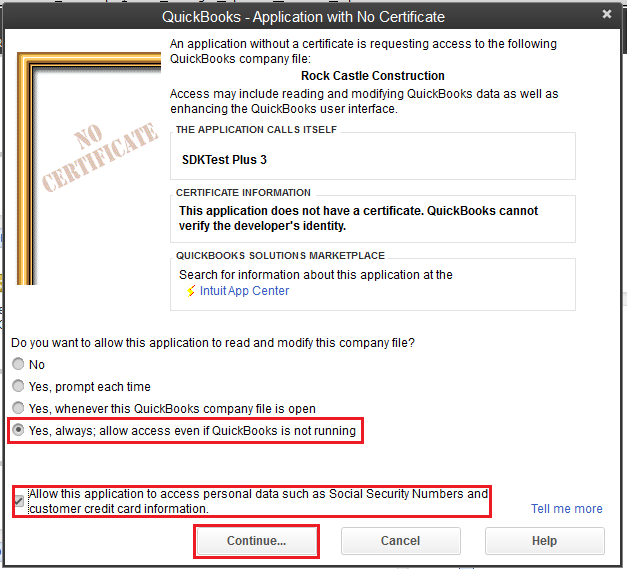 Please refer QuickBooks Desktop Logging for more details. 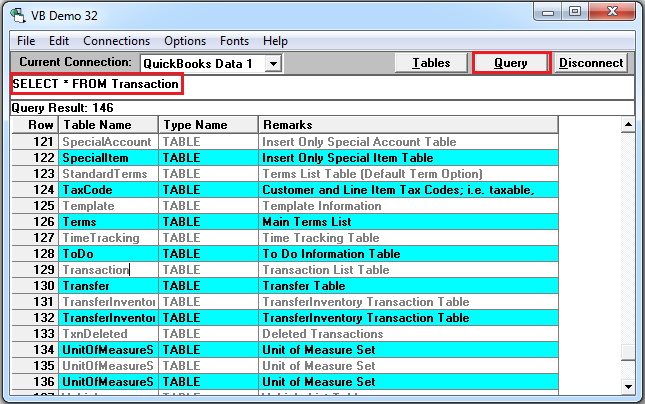 If you can't find the file, or directory do a Start - Run - "c:\ProgramData\Intuit\QuickBooks" <enter> and then edit qbsdk.ini. If qbsdk.ini is not there, just create it. Make sure that the file is not a text file, but a config file otherwise QuickBooks will not pick up the file. In the "[LOG]" section, change "LEVEL" from "info" to "verbose". You can backup original qbsdk.ini before making any changes, So after fetching verbose logs, you can replace it with original qbsdk.ini file. Verbose Logging is now enabled. 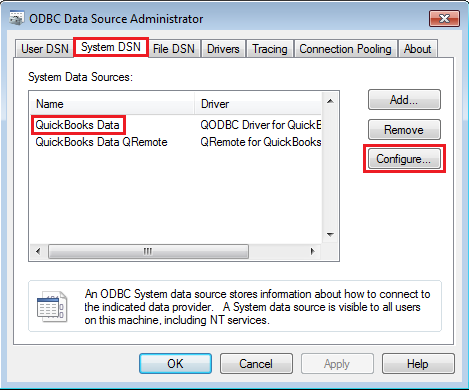 Restart QuickBooks and QODBC, reproduce the error. 2. Open SDKTestPlus3. If your company file is open in QuickBooks, then leave first box blank otherwise provide company file path through Browse button. 3. Open Request file: Click on Browse button. 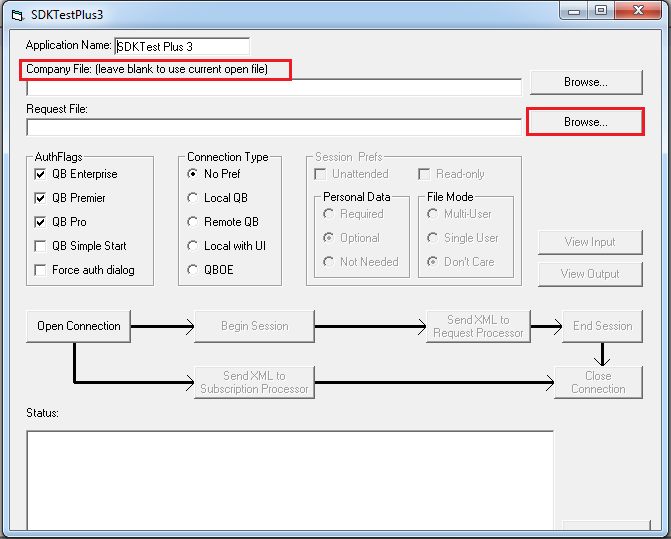 Navigate to Input file path & select Input file by clicking on the Open button. 4. 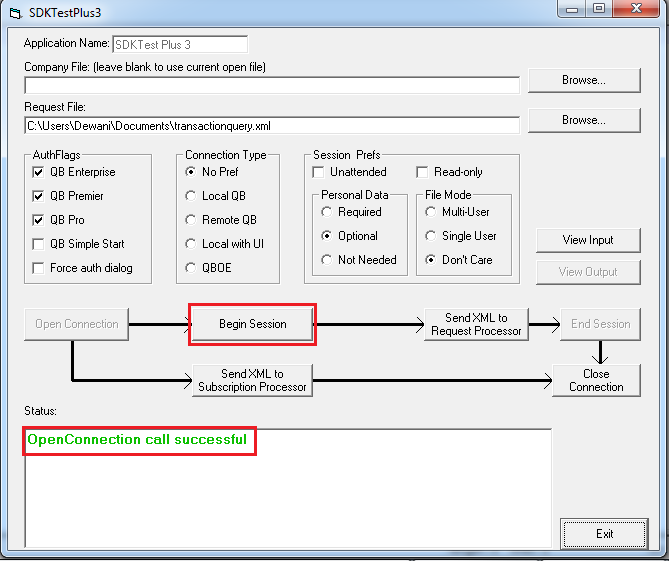 Open Connection: After selecting Input file click Open Connection button to Open Connection. 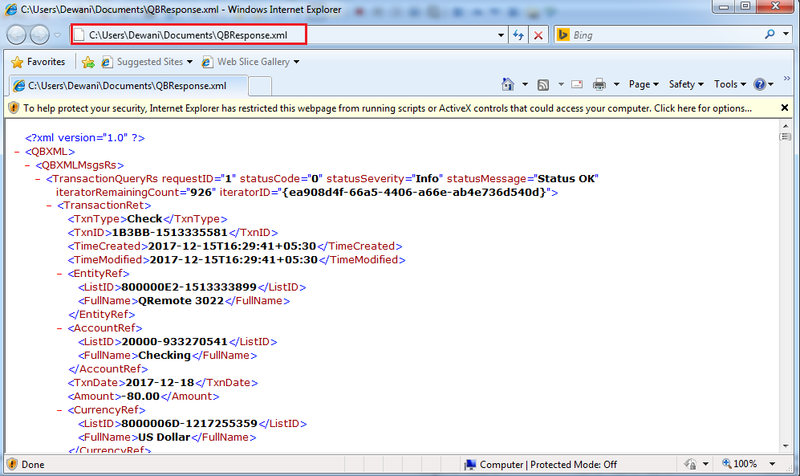 You can see Request XML by clicking on View Input button. 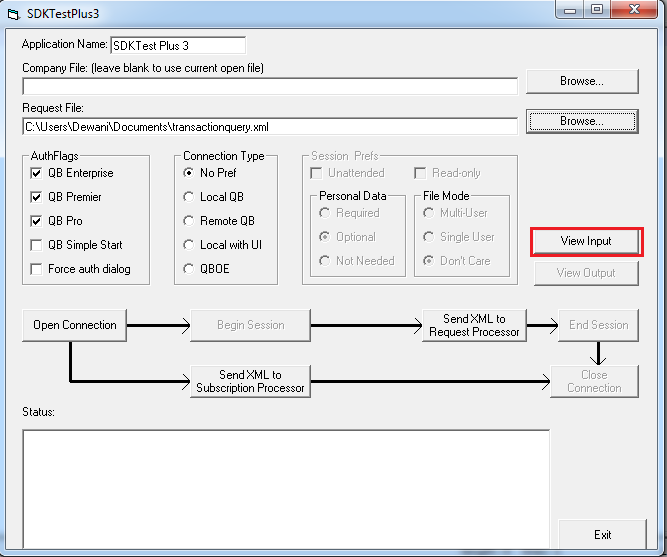 Click on Begin Session button for Initiating Session to QuickBooks. 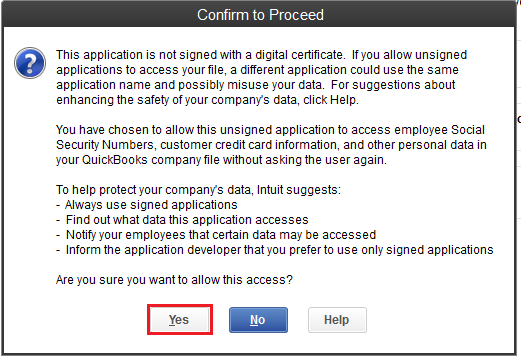 QuickBooks will ask you permission for this driver to access your QuickBooks data. 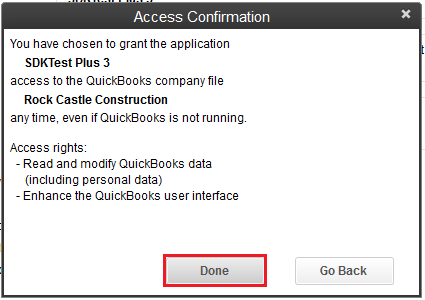 Check the “Yes, always; allow access even if QuickBooks is not running” option and then click on the “Continue…” button to confirm. Click on Yes button to process further. 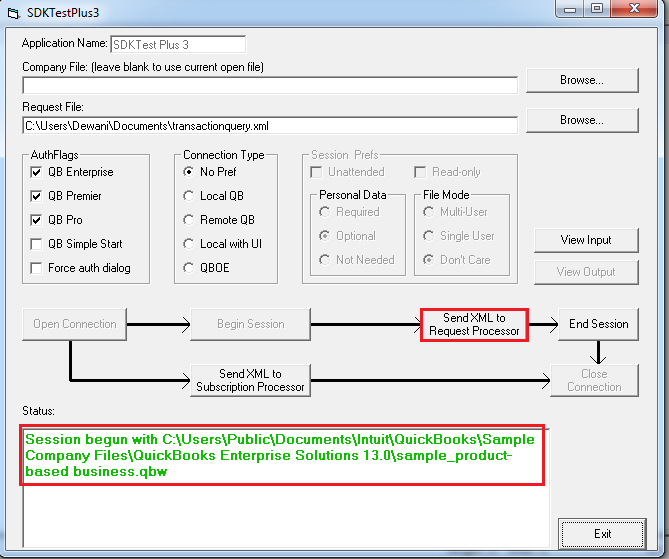 5.Send Request XML: After accepting QuickBooks certificate, Please click on "Send XML to Request Processor" for processing request. Request processing is completed. You will notice that View Output button is enabled now. 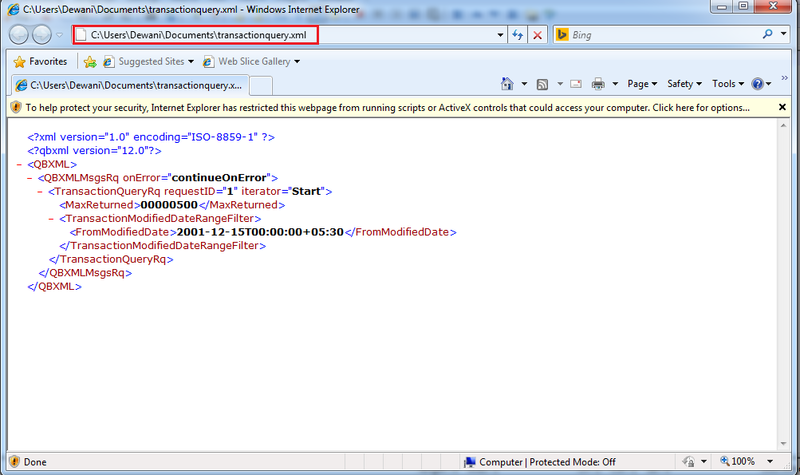 Click on View Output button to view- Response XML. Refer the QBResponse.xml to know what QuickBooks is returning. I have the same problem with Time Tracking table (no records returned by ODBC) and did a successfull rebuild but got same results. I am trying to view the video you posted in the how to use link but there is no sound even though my PC plays other sounds fine. Any ideas on how to fix the time tracking table will be greatly appreciated. The first link for SDKTestPlus3 no longer appears to be vaild. I am experiencing this same issue about not being able to query/export data from TimeTracking table. I have tried to rebuild the company file as well with no luck. Please help! The Broken links for SDKTestPlus3 are corrected.